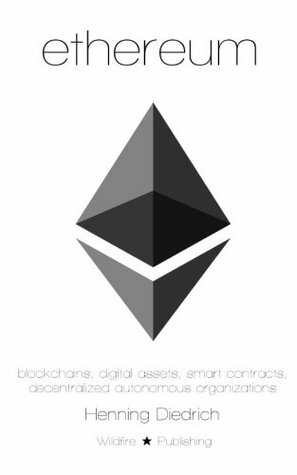 Blog Blockchain How to Prepare for Certified Blockchain Expert Exam? How to Prepare for Certified Blockchain Expert Exam? Preparing for Blockchain certification? Here we’ve got you covered with the comprehensive Certified Blockchain Expert preparation guide. Are you interested to focus on Blockchain and Cryptocurrency related opportunity? So, you must be aware that in today’s highly competitive job environment, every project stakeholder relies on specialized skills so as the employers. Hence, nothing goes better than supporting a third-party verified certification in this regard. 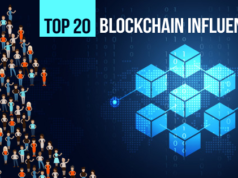 No doubt, Certified Blockchain Expert is recognized as the best Blockchain certification among the popular Blockchain certifications which certifies Blockchain professionals in distributed ledger technology from a vendor-neutral perspective. So, Certified Blockchain Expert preparation is the first stepping stone for you as a Blockchain expert, and of course, CBE preparation is not a simple task. It needs a proper roadmap and direction to crack the exam. 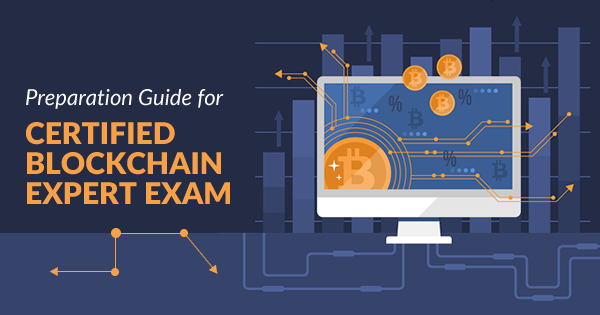 Hence, in this blog, we will help you to guide towards Certified Blockchain Expert preparation with complete exam details. Moreover, the use cases designed for CBE preparation cover various security issues related to Blockchain and Bitcoin surrounding each use case. Besides, as a part of your Certified Blockchain Expert preparation, you will also get an expert overview of different case related complaints arising. Blockchain Council has provided all the module details and exam blueprint on their official website. This is the most important step to follow in your certification journey to get acquainted with the certification correctly. 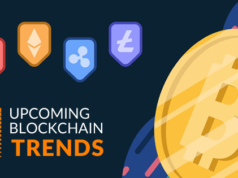 You will get to know all the details about the certification along with additional official resources like e-books, Blockchain articles, use cases tutorials and many more which could add value to your Certified Blockchain Expert preparation. If you are a non-technical person, this book is ideal for you. 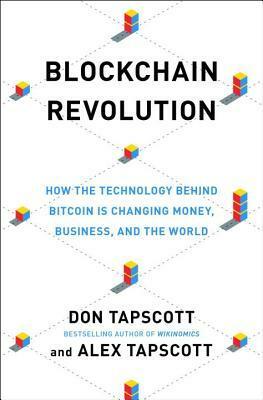 The book wonderfully describes the Blockchain concepts along with peer-to-peer architectures, and security principles. 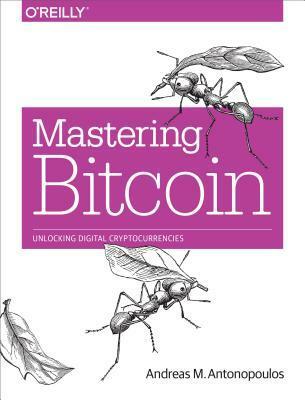 No doubt, the book helps you to build a solid technical foundation in Blockchain concepts. 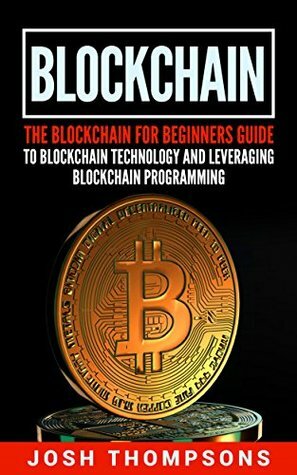 If you are a beginner in Blockchain technology, then this book is the ideal choice for you. 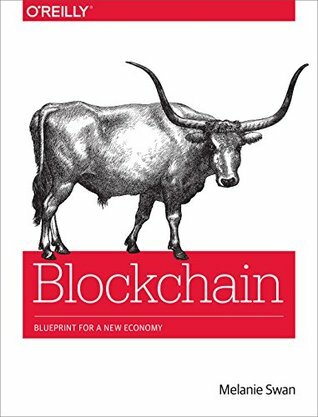 It not only describes the fundamental concepts of Blockchain and explains how to build apps through it, but also put stress on the technical concepts of each Blockchain components. 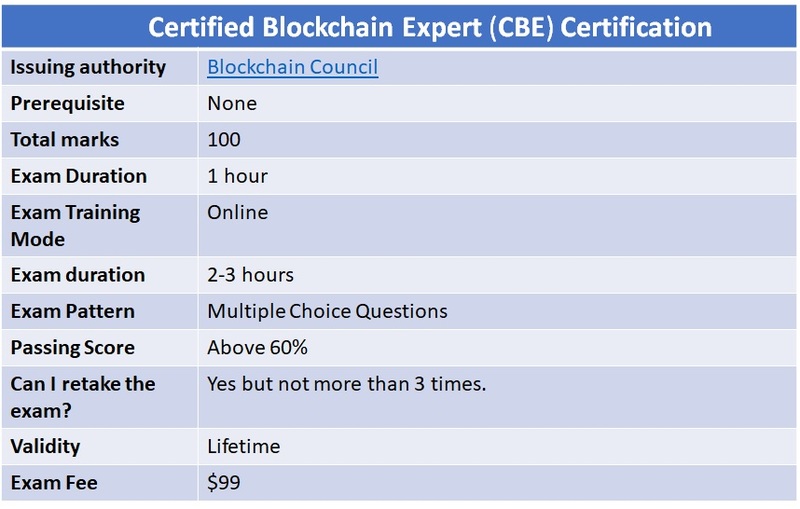 Preparing for Certified Blockchain Expert (CBE) exam? Check your current level of preparation with the Whizlabs Certified Blockchain Expert Practice Tests. 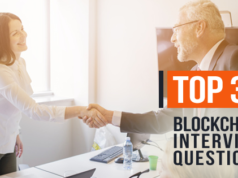 At Whizlabs we have designed Certified Blockchain Expert practice questions for the Certified Blockchain Expert preparation to make aspirants’ life easy for the actual exam. Why late then? Come, join us and explore your preparation journey hassle free! If you have any doubt while preparing for Certified Blockchain Expert exam, feel free to mention it in the comment below or contact us at Whizlabs Helpdesk, we will respond to you in no time.